Did you know that just one good affiliate is like doubling yourself? Imagine having 100 affiliates. Sounds great, doesn’t it? But, having a super affiliate is a whole other ball game. A super affiliate is someone who has a huge active list who can turn your product creations into a bona fide business that pays off month after month. It literally only takes one super affiliate to make your entire business. 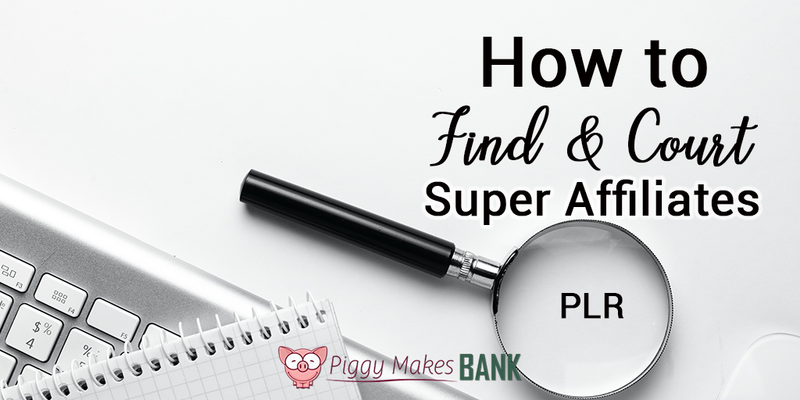 Teach your readers how they can begin finding the right super affiliates, attracting them, and keeping them. Our 30 Days of How to Find & Court Super Affiliates is designed to teach about different ways to find super affiliates, get them on board and keep them with you long term so that you can both make more money. In the content you share helpful tips and advice and to go along with it, emails go out each day that point readers to the new content and challenge them to follow along. With this content bundle, you challenge your readers to reach out and find the super affiliates that will help them grow their business. 30 articles, 30 emails, 30 social media posts, eBook compilation, our handy “How to Run an Email Challenge” Guide, an eBook and Workbook. Are Your Offers Converting Well Enough? Are You Planning Your Launches Far Enough Ahead? Are You Approaching the Wrong Affiliates? Are You Actively Recruiting Affiliates Every Week? This could be a free challenge to help you build your list and grow engagement with your readers, or it could be a paid product for an online business owner. The content could also easily be turned into a 30-day group coaching program all about finding and courting super affiliates. If you know how to copy and paste, you can set up this 30 days of pre-written content on finding and courting super affiliates. Keep it free or make it a paid product. What Are Super Affiliates and Where do I Find Them? To recap, you’ll get the full 30 articles as a word document, txt files, and the article content turned into a meaty eBook that you can share as part of the content series, or use as a stand-alone product. You’ll also receive 30 email messages to promote the blog posts, and an eBook and workbook combo. Get this content all about Finding & Courting Super Affiliates PLUS BONUSES for just $87 – and Start Growing Your List Today!